"​What can I do to help you with your dog?" "See for yourself what clients have to say about their experience with Happy Buddha Dog Training over the years." "As first time puppy owners we were very unsure of how to train our new puppy, Ollie, and honestly to train ourselves. We reached out to Dan at Happy Buddha Dog Training for his help and guidance with Ollie. Dan made numerous trips to our house to help us train Ollie in his own environment. Dan also brought with him information for us about food, appropriate leashes and harnesses, and much more. The moment Ollie met Dan we knew we met the right person to work with Ollie and our family. Dan is so knowledgeable in everything about dogs. Dan is very patient and caring with Ollie. He truly knows how to work with dogs and their behaviors. It’s almost as if Dan “speaks dog”. With Dan’s help Ollie now listens to commands, walks on his leash, and is a happy puppy. If anyone is interested in hiring a dog trainer, Dan of Happy Buddha Dog Training is the person for you." 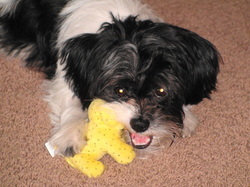 "I highly recommend Dan and Happy Buddah Dog Training. Dan is very knowledgeable and passionate about what he does. He uses positive, force free techniques that are fun and easy to learn. We really enjoyed working with him as did our puppy Lily. I would gladly do business with Dan again and will certainly be reccommending him to others." "Dan, with Happy Buddha Dog Training, is so knowledgeable! He has a professional and comfortable manner when training. He does a great job explaining the psychology behind his practices. He gives excellent examples of why to do things a certain way or why not. Our time with him was absolutely worth the investment! I learned as much as my puppy did! I am so glad I decided to do my puppy training with Happy Buddha. I had done training classes elsewhere with our previous dog. I found Happy Buddha's training to be more enjoyable for me and my puppy. Also, I found we were able to cover more material in a shorter amount of time. Dan focused on the needs of my puppy and what I wanted to accomplish with her. If you are on the fence about starting a dog training program, I highly encourage you to do the individual training with Happy Buddha Dog Training. I constantly get compliments on how well behaved my puppy is (she is only 4 1/2 months old). I attribute a lot of that to what we learned from Dan." "I don't think 5 stars are high enough to rate Dan!! I started working with Dan in the spring of 2018 with my year old German Shepherd, Finn. We had completed several group classes, he had good manners with the basics but Finn had a hard time focusing in group classes. I was looking for a one on one dog trainer to help me understand some of Finn's behaviors without using force. Finn had developed a fear of passing cars when we were walking, his anxiety would rise and he would bolt as the car passed. Dan gave me the tools, guidance, and knowledge to help Finn overcome his fear of passing cars, all with non-force, positive reinforcement methods, no choke, pinch collars or e-collars. Dan, Finn and I work as a "team". Dan has helped me understand why Finn might be afraid of cars and encouraged me to not give up when Finn has had a few set backs. I highly recommend Dan!!" "I hope are well! Jackson is so happy with these cooler temperatures, and now is just anxious for more snow! We continue to work on manners (always a work in progress - right!?). Chad capture this moment of very good eye contact and thought you might enjoy seeing it! We are forever grateful for the work that you did for Jackson and for us!" "Lincoln is nicely socialized with all kinds of people and dogs. His manors and commands are stellar, especially for a 9 month puppy. He’s an awesome loved member of our family." Thank you so much for helping us along in this journey and through this rough patch with Zissel. We are thrilled at her progress and look forward to making even more improvements and continuing to work with her. Thanks for the photos as well! I wanted to share with you more fantastic news for today – we had some guests over this evening and Zissel did amazingly well! She had almost no fear in her reaction. She barked maybe once, and then went straight to wiggles and our guests stood still and didn’t give her attention until she calmed down, which she did pretty quickly. Fast forward 20 minutes and Zissel was asleep in one of our guest’s lap for the remainder of the evening. We are so proud and happy! "I signed up with Dan shortly after I adopted my rescue dog. Not only is he fabulous with my dog Min, I learn as much at each session as Min does, if not more. Dan is a wealth of information on much much more than sit and stay. Min totally enjoys her sessions (play time) with Dan. Dan has pinpointed certain behaviors and helps me brain storm on why others are happening, and then helps turn any negative behaviors around with force free teaching. I trust Dan 100% with Min, and I know I'm getting up to date, accurate, scientifically proven information from him. Dan dog sat for me while I was away for a day. Min was wiggly, content and happy when I got home. The picture Dan sent of Min snoozing away after a good walk was great! Faye is going to dog sit for me while I'm out of the country for several weeks next year. Min took to Faye right away when they met. If you're looking for someone who will train your dog to behave and then walk away, Dan is not your man. If you're looking for someone who will bond with your dog and teach both you and your dog how to be healthy and happy together, Dan is what you're looking for." Just wanted to share a “Find It” success story that happened with Juniper yesterday. We were walking (on leash) on a trail and I could see a person with their large dog. Luckily the trail was fairly wide, but it had tall grasses bordering either side so I couldn’t go off it to let them pass. I started the “find it” game as they passed us and she stayed focused on that and did not bark! We have had good success with that game in the city when I have a parked car barrier, so I was so pleased. Hurrah! "I give Dan a 10 star rating as a dog trainer. I rescued a one year old dog that was transferred to a Wisconsin shelter from an over crowded shelter in Alabama. The staff at the shelter told me she loved everybody and was a joy. 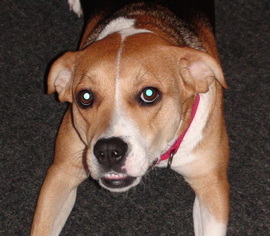 Other than her being a joy, and knowing she most likely was a mix of some kind of herding dog, I knew little about her. Having a family daycare in my home, it was important to me that my dog, Minton, have good manners with the kids and their parents. I initially looked into a dog training organization I'd seen lots of advertising for that claimed they had a high success rate for teaching dogs to be well behaved. When I got to the interview, I was shown the e-collar they use. Absolutely not. I don't care if it's used as just a "nudge." 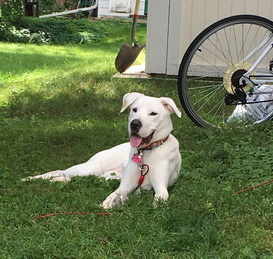 I decided that since my pup seemed to have some nervous and anxious qualities, and because I knew little about her background, an in home, one on one trainer would be a better way to start out. In walks Dan of Happy Buddha. Minton was a little bit of a puzzle at first, but within just a few sessions, she was responding well to Dan, and I was learning a wealth of information myself. I have to say, the information, support, and guidance Dan gives me is just as helpful, if not more so, than the training he gives Minton. Most of the people around me tell me that I need to be the pack leader, and be more forceful with my attitude toward Minton. For one, that's just not my personality. Secondly, I just don't believe that's true. I want a dog that I coexist with. A member of my household that I guide, but certainly not one that I need to feel some dominance over. Dan supported me 100% whenever I felt pressure from others and was in doubt. We've had many discussions about the evidence that force free training leads to a well mannered, adjusted pup. Dan sent me articles and the scientific research that backed that up. Minton and I had so much success and fun with our first set of sessions, that we signed up for a second set. By the time we finish this set, I know she'll be ready to move into group training, such as rally and agility. Minton's whole body wags when Dan walks in the door. His calm demeanor and method of training is exactly what we both needed. I'm so happy and comfortable with Dan, that I'm going to use his and his wife Faye's pet sitting serves as well. Minton took to Dan's wife, Faye, right away. I know Minton will be in good hands while I'm out of the country for several weeks. She will have consistent, force free care in her own environment with people who understand her and who she adores. Dan listens to his clients, is flexible, understanding and compassionate. I get the impression that dog training is not just his job, but it's his passion and what he breaths each day. If you want help training a well behaved, happy, joyful dog, contact Dan. He's your man! "The knowledge I've gained about my dog's body language through my sessions with Happy Buddha Dog Training LLC, as well as the body language of dogs we meet, has been just as valuable, if not more, as sit, stay, down, wait, loose leash walking... Being able to understand a dog's body language helps keep everyone safe and happy!" "Our family decided it was the right time for a new family member, and we adopted our first puppy, Winston. Since we had never had a dog before, we did our research on training books, puppy classes, and dog trainers. We received information on Happy Buddha from our friend Krista. Before picking up our new pup, we set up an appointment with Dan and he gave us helpful reading material so that we were prepared. Once we picked up Winston, we could see right away that he was having a hard time adjusting his new family. Dan was kind enough to come on a Saturday and spend the necessary time with us to acclimate him appropriately. I was especially anxious that Winston's new home would not work out for him, and that my 3 children would have a bad experience with their first dog. Thank goodness for both Happy Buddha and the puppy classes! Within a week, things were starting to get better. By the end of the 5 sessions, our sweet Winston was none other than a "regular" puppy and happy to be a part of our family. The puppy classes were helpful to learn basic commands and socialization, but Dan was there to reinforce our own behaviors to train him appropriately. The one-on-one time he spends with us is invaluable. He was able to teach my children how to play with Winston in a way that is fun for all of them. I would recommend Dan to everyone that owns a dog to have a family member. There are so many "easy" fixes for impatient people that have zero benefit for the dog. We took the time and patience to work with our puppy. Although he is not perfect by any means, he adjusted to a fun-loving member of the family. Thank you Dan for your time and patience with all 6 of us." "We had another wonderful experience with Happy Buddha! Dan worked with our previous dog who had severe separation anxiety. We now have a new puppy and Dan did a wonderful job with the nuts and bolts of puppy training. He is calm, engaging, and helpful and used only positive reinforcement which has helped create a sweet and well adjusted puppy. He offers gentle suggestion, never judgment, and worked with our family to figure out what teaching tactics would work best. His training is affordable and flexible, and we would highly recommend him for any dog. 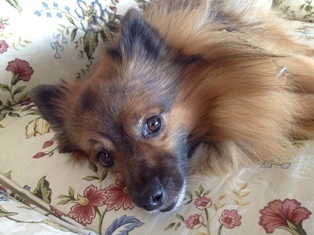 He really excels and has special interest in pets with anxiety. We are so grateful to have Happy Buddha in our area--Madison is so lucky to have such a skilled and compassionate dog trainer. Highly recommend." "HI Dan, Thank you again for everything!!! This experience was everything we hoped it would be. We are so much better prepared to be puppy owners than we were when we got Gabby! You were very patient with us and incorporated your Zen-sense of dog-knowing into every session. Gabby adores you and each visit really helped us to move mountains! Your service is complete, compassionate, and affordable. We so appreciate you being generous with bringing treats and toys for Gabby and our daughter! We are very grateful. We hope to see you in the neighborhood again soon!!!!" “Having personal training sessions was an enormous success for us, as our dog Juniper is very sensitive to stimuli. She learned so fast without the distractions and unfamiliar setting that would have been a part of a group puppy class, and Dan was generous and flexible to tailor things specific to the needs of our home and family. The breadth and variety of training materials he provides are very valuable too — and if you have a question, Dan will most likely not only answer it, but send you written materials or resource referrals. He is extremely thorough and professional, with a warmth and approachability that puts everyone, dog or human, at ease. Henry, our 2.5 year old (95 pound) chocolate Lab has separation anxiety. He's never liked his crate and becomes anxious if he has to go in it when we (rarely) both leave the house. Although he relates well to dogs on walks and at the dog park, he prefers his humans to be close by. He's had a puppy training class and a reactive dog training class. However, my husband and I felt Henry needed specialized training to address people coming to the door and greeting guests appropriately. We also were preparing for our daughter and her fiancé (who is afraid of dogs) to return to the states. Dan Antolec of Happy Buddha Dog Training was our answer! Dan is very professional, friendly and knowledgeable. Our appointments started on time, were focused and very productive. It was fun to see Henry choosing to exhibit the desired behaviors! Dan has a wealth of information, and great suggestions for tools to keep Henry calm. In addition, he facilitated a consult between our vet and a behaviorist to modify Henry's medication. Dan met with our daughter and her fiancé to help acclimate him to dog behavior. Henry is doing well focusing on his "place" instead of reacting to people coming to the door. He's sitting as visitors enter the home instead of jumping on them. More long term, we'll be working with Henry on establishing a safe room to relax in when we leave the home instead of his dreaded crate. We won't hesitate to contact Dan for additional training! "Thank you so much for all your help and creating an even more positive relationship with me and Arty. He is still very sassy but everyday recall gets a little better. He is also getting better at meeting new people at the house. He did GREAT on Halloween. We only had about 10 treat-or-trickers but he was busy playing find it with of my friends and enjoying his bone that he wasn't even phased. I was so proud of him. I know he is missing his pork and cheese treats. Thanks again for all your help." "Daniel is an inspiration to the world of dog training and behavior consulting. He is truly dedicated to furthering his education and has taken the challenging steps to become certified and accredited in behavior and force free training. He is a great teacher and promoter of force free, science based methods and is a true advocate for the animals and their bond with their humans. When I refer folks to Daniel I know they'll be in great hands." "Dan is an excellent dog trainer who is committed to excellence and continuing his knowledge and education in this field (which is much more complex than most people realize). While technically he could be considered my "competitor", what is most important to me (and to Dan I'm sure) is that the dog owners of Madison (WI) get quality, capable, educated and compassionate assistance with their dog training needs and that is what you'll get with Dan!" “When I first contacted Dan, I was feeling frustrated and hopeless with my highly reactive Airedale, Bella. Bella was growling, barking and lunging and at other dogs, people and moving objects she encountered in almost all situations I was exhausted. I felt her behavior would never change and I saw myself as a failure. I was seriously considering finding a new home for her. "Thank you so very much for the class. We enjoyed it. I learned quite a bit that I ended up using just 24 hours later when meeting dogs I've not met before. The were fearful and I was able to read that quickly and act accordingly. Really appreciated your time. Thank you again." “Our younger very high energy dog, Arya, was having some troubles with displaying dog-dog aggression, pulling on the leash, and jumping. We were extremely frustrated and disappointed that our sweet girl was becoming such a nuisance. We were referred to Dan at Happy Buddha Dog Training by Jenna at Golden Paw Pet Boutique. Turns out it could not have been a better match. Dan took the time to talk with me about our concerns and discuss the root of Arya’s issues. He came out and spent a great deal of time talking with us. Our concerns were very real to us, as we love our pets very much and want to have dogs that people and other dogs feel safe around. We had previously tried everything we could think of, including a pinch collar. We were uncomfortable with the idea, but were told by several people that it would work. Dan took the time to explain the unintended consequences of the pinch collar. "We recently went on an 18 day vacation and had Dan and Faye watch over our home and dogs. We have three dogs, one of them being a 5 month old puppy. Being familiar with Dan’s excellent approach to dog training, we had confidence we were leaving our boys in good hands. Every day we received an email of the boys with photos and notes on what they did during the day. Not only did they have plenty of physical activity but just as important, their minds were exercised. Our home was in great shape when we returned. We were very pleased in the care given to our boys and home. We highly recommend Dan and Faye as house and pet sitters. Our Thor is tightly bonded with us and it takes him awhile to warm up to people. To help with the dog sitting, Faye came to our neighborhood and house so Thor could gradually get to know her. Her treats were a hit!! After three visits, a bond started to form. We also shared Thor’s habits and schedule so his anxiety would be minimal and he could enjoy his weekend with Faye. It worked! We had a stress free weekend and Thor and Faye had a fun weekend. She sent messages and pictures and let us know she was giving him cuddle time. "Daniel's expertise and knowledge of positive dog training has been invaluable to my girlfriend and I in training our rescued Pit Bull. He has incredible resources that he's provided to us to keep us constantly informed and learning about dog psychology and behavior. The fact that he can come into our apartment, meet a new dog, and evoke such a positive, attentive response from our dog was a true testament to the power of positive training. He conducts a thorough investigation into each animal he works with to be able to provide the best training and resources. We're excited about continuing training with Daniel to improve our dog's attentiveness to the handler while around other dogs on-leash and reduce reactivity and fear. We intend to train our Pit Bull to continue to be an advocate for the breed and demonstrate the power of responsible ownership. We have every bit of confidence that Daniel can help us achieve and surpass all our training goals." We are so pleased that Happy Buddha is offering dog walking and other services! I was coordinating a business trip and felt uneasy about how to ensure my Bernese Mountain dog Jackson would get the attention, time outside and potty breaks that he has grown accustom to with our regular routine. Then I saw a post that Happy Buddha was now offering dog walking skills! Dan to the rescue! I felt completely confident leaving for my trip knowing that Dan would be helping us out. Dog walking allowed my husband and I to focus on our work commitments and know that our pup was enjoying some social time with his buddy Dan. Dan's service is above and beyond superior! Dan didn't just walk Jackson, he re-enforced training that was already learned. He also gave our pup plenty of love and play time. And the pictures and updates were greatly appreciated. I highly recommend Happy Buddha for dog training and now dog walking/attention time! "I would like to highly recommend Faye Antolec to anyone who would possibly need someone to care for their dogs if they were to need to be away from home. She recently cared for our dogs, Ziva and Charlie for 15 days during our trip to Switzerland. She stayed in our home, honoring our dogs' routines, as well as getting mail and watering plants, etc. We were sent charming daily updates and photos via email and were thrilled with her attention to our dogs' every need for attention, exercise as well as basic needs. We were pretty sure that they did not miss us! I learned of Faye through her husband, Dan Antolec, who has Happy Buddha Dog Training. 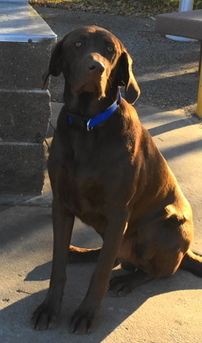 He was very helpful with our dog training needs last year and has a very calming effect on dogs (and people)." "We had a great experience with Happy Buddha Dog Training. Daniel’s gentle and positive approach to training dogs was exactly what we were looking for in helping us with our three dogs. We asked him to work with the male dog we adopted a couple of months before. He is 70 pounds, outweighing the other two by 20 pounds each. We had next to no knowledge of his history and he had no manners at all! We were most concerned that he would run off and we wouldn’t be able to catch him easily. With Dan’s guidance, we quickly learned how to approach this bigger guy and learned that we can trust him. He taught us to praise the dog’s natural behaviors that we wanted, and ignore the behaviors that we didn’t want. We also appreciated all the information Dan shared about the latest research in dog psychology and behavior, as well as natural world knowledge. Using Dan’s techniques with all three has helped create peace in the house." ​I wanted to share this article again and attach my own success story with Buddy. My main goal with sharing this story is to show progress is possible, even with the most reactive of dogs. The training methods we discuss here really work. Working with a force-free trainer (Daniel Antolec of Happy Buddha) has been crucial for me to understand what Buddy was going through. Walking your dog everyday where they are exposed to what scares them pushing them over threshold isn't going to work, the negative physiological effects last for days, and can physically harm your dog. Several months ago, I completely stopped trying to walk Buddy in public. I began walking him only at secluded areas once or twice a day for only 10-15 minutes at a time. Buddy got plenty of mental stimulation inside with toys, playing find-it and practicing basic training commands. After a few weeks with no outbursts, I noticed Buddy was calming down inside and outside the house. He wasn't shaking anymore and when outside, he didn't seem to be "on alert" as much, he was more focused on me and seemed to enjoy sniffing. Soon, we were at one month with no violent outbursts, then two months. His behavior everywhere was improving, even in the car. He seemed loose and relaxed. Three months came with no outbursts. Then this past weekend, I took Buddy for a ride to the Oregon library. All the baseball diamonds were empty, no one was around. It was a beautiful day so I gathered up my courage and went for a walk with Buddy. He put his head through the harness on his own and seemed happy to go, smelling everything he could, trotting ahead with a very relaxed body. He volunteered lots of "looks" and we practiced "sit" and "touch." As we continued walking, I saw a dog being walked across the street, about 25 feet away. Buddy's previous threshold was 50 yards. My first reaction was panic but I saw the dog before Buddy. I threw some treats in the grass, Buddy sniffed them out, while I breathed deeply trying to calm myself. Buddy looked up, saw the dog, and immediately looked at me and sat waiting for more treats. No growl, no bark, no indication he was even thinking about it. I threw some treats into the grass, he sniffed them out and didn't give the dog a second look. We continued on our way, walked a full loop around and made it back to the car safe and sound. It was a sob-worthy moment and never have I felt so proud of another living being as I was of Buddy. It seemed that spending three months replacing the habit of barking and lunging with find-it, looks, sits and touches made Buddy forget to bark and lunge, as if his brain was calming down. 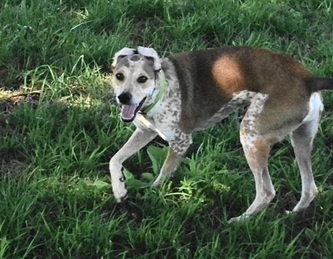 Eight months ago, Buddy could hear a dog barking and react without seeing it. I never thought I'd be able to go for a walk and get within 25 feet of a dog without a violent and embarrassing scene being made. Since I figured Buddy endured some stress during that walk, we spent the rest of the weekend at home resuming our normal training protocol. But I am encouraged and am looking forward to trying it again. I'm not looking for perfection, I'm sure Buddy will react again but I'm hopeful his reactions won't be as bad or as frequent. "We have seen much improvement in Bruiser! He loves the touch game and "find it" comes in handy when he is getting extra excited. Yesterday I saw 5 dogs on our walk and he only yelped once and was quickly redirected. We did cross the street if they were coming towards us, but he seems to be catching on to the "treats are better than barking" arrangement! I know it will take time to become more permanent and more consistent, but I'm happy with the progress. My dog Meeko has extreme fear aggression and has many triggers. I have worked with Daniel Antolec in the past and he was wonderful to work with. I learned a lot about further work that needed to be done with Meeko. I also worked with the Behavior Dept at HAWS. Dr. Claudeen McAuliffe, who helped me put my dog on a couple prescription medications. Previous to that, I tried every diet and holistic solution available, and worked with a holistic vet in Madison to figure out additional options. When these did not make as big of an impact as Meeko needed, we moved on to prescriptions. Meeko is about 30lbs. He's on 20mg of Prozac daily, and a total of 300mg of Gabapentin (split into two 150mg, twice daily). He's also on Tuna Fish Omega 3 perils, twice a day. And one adrenal gland support supplement. He stays on a low protein diet, and we have now switched to dehydrated food, as these typical have less protein concentrated into servings. On top of this, we stay away from "hot" or "warming" foods under the direction of his previous Holistic vet. This includes lamb, venison, raspberries, etc (there are guides online for those interested). We may most attention to the protein source when it comes to the "temp" of the foods. Under the above regimen, Meeko has made incredible improvement. His behavior is now in a manageable state where behavior modification can actually take place, whereas before he was not. He was constantly recovering and never at base. I am so thankful to Bad Dog Frida, Dan, Full Circle Vet and HAWS for all the support and knowledge they have provided me. I am happy to be apart of a (support) group like this and will happily share my experiences and continual struggles of living with a very reactive dog. Krista DeBellis After having adopted an adult unsocialized dog and seeing his struggles, I'm saddened by how many people who I know have had their dogs since the dog was 8 weeks old and they act like Buddy, very scared and anxious and the owners act surprised or blame the dog. Buddy was robbed of a good puppyhood and now struggles as an adult. I would give anything to have had Buddy when he was a pup. Happy Buddha Dog Training LLC Buddy is lucky you adopted him. Now he has his best chance for a good life. Krista DeBellis Last week, at the dog park in Oregon, Buddy played great with a well-behaved 10-month old dog. I commented to the guy how polite his dog was. He said they used Happy Buddha for training. We both shared our training stories. Nothing but good things about Happy Buddha. We can't tell you how very helpful and interesting that session was. After you left within 1 hour we had a delivery man drop some items in our basement. Bruiser started barking as he heard him on the basement stairs going through the garage to downstairs. I grabbed a couple of treats and quickly said touch. He stopped his barking and happily ran over to participate beautifully in the game. I'll walk him this morning and use what I've learned. I've seen Steve using what he's learned also. I'll let you know how New Years Eve goes over here! We were both impressed with you and the knowledge you have along with how respectful you are of Bruiser and us. We are anxious to continue practicing what we've learned. Best Regards and Happy New Year!" "I'm writing to tell you that Leah and I are feeling very comfortable with Ziggy's training, and we both feel that we no longer need our regularly scheduled training sessions at this time. She's progressing well with all that we've been working on using your training methods, including displaying calmer behavior in the vehicle and displaying less fear at passersby! Should the need arise, and we discover a new issue we need help with, we would love to be able to reach out to you again. I want to thank you for all that you've done for us. To be honest, we were feeling extremely overwhelmed when we first brought Ziggy home, and you were instrumental in helping the three of us. Your approach, advice, and training helped Ziggy to relax and trust us, and it helped us to be more patient and understanding of her emotions. We will continue to work with her! If a new issue comes up with Ziggy, or if any of our friends and family in the area ask for a referral, you'll be the one we call. I would also be happy to submit a referral for your website. "It's very hard to articulate our feelings after the training session. We were so impressed with you and your demeanor and approach. We did not know what to expect going into this and you gave us exactly what we were looking for. You showed us how to help Buddy but you also gave us the reassurance we so desperately needed and the confidence to believe we definitely can help Buddy succeed. We both also felt a tremendous sense of relief when you confirmed we were asking too much from Buddy too soon and we need to start with smaller, baby steps. It took a lot of pressure off all three of us. We also feel good that if we do run into a jam with Buddy, I can call you and know that you can help us with probably any situation that arises. Buddy did pass out for a few hours after you left and again after dinner so we picked up training this morning and whenever we're just hanging out and Buddy is nearby, we do some touches and looks. He's really getting the hang of it. I'm also very grateful for the amount of materials you provided. I have started reading Patricia McConnell's book and Sean and I are having a Buddha Training DVD watching session this afternoon." "Just today a neighbor was mowing his lawn. Buddy became very afraid but we started playing some training games and Buddy totally forgot about the mower. Today was the first day that Buddy has not sought refuge under the couch. Can't wait to see how he progresses as time goes on. I will recommend you to anyone who needs an experienced force-free dog trainer." "Hi Dan. Buddy is still continuing to make great progress. We're able to break his concentration when he's barking at kids going to school. He's learning focusing on us gets him a better payout. Still fearful outside by the house but at a park, his recall has improved greatly and I no longer have to spend an hour trying to corral him to go home. The training exercises have definitely increased his trust in us." "Thanks SO much Dan! Penny is already improving behavior very quickly. The look/touch technique is like magic! ;) We'll keep you posted and probably like to move to the next phase in a few weeks. We REALLY appreciate all your help!!! and so does Penny!" 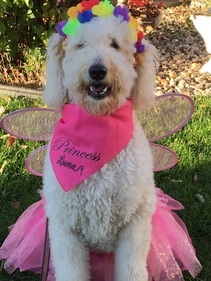 “My wife and I have an energetic standard poodle pup and asked for Dan’s help in getting us started on training. 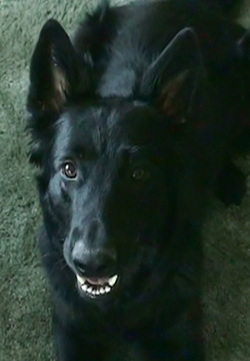 Dan has an excellent owner-responsive approach to training using positive reinforcement. He spent much of his time teaching us how to do the training ourselves which is important when we realize that we’re really the ones that have to do it on a day to day basis. Although my wife and I were both familiar with the psychological principles involved, his teaching about how to apply these to the canine mind was most useful. It was much better to do it in our home with us then just “sending him to school”. “Me and my children recently adopted a yellow Lab puppy. Having never had a dog before we had a lot to learn and knew next to nothing about training a puppy. However, it was extremely important to me that the training be done force free and that she be a very well behaved dog in order for her to be a good fit for my family. We had Dan come out the week after we brought her home and each session showed such remarkable improvement and Daisy learned so quickly. As she’s gotten bigger and harder to control just from a sheer size and weight constraint (at 5 months, she now outweighs my 8 year old), the training we had with Dan when she was very young has made a big difference. We may not be able to pick her up when we need to move her but thanks to her training early on, she comes to “touch” when asked, walks on the leash without pulling, sits when told, lays down and will leave it (most of the time). "We had enrolled our pup in a (group) class. She was too anxious and rough on her meet and greets. We sensed there was too much stress to focus and learn. We were very blessed to find the Happy Buddha Dog Training site. After initial consultation with Daniel we decided that his individual attention at our house would bring out calm, quiet and relaxed learning. Daniel stresses positive reinforcement, no harsh methods, choke chains, shock or loud commands. Daniel's gentle and consistent cues makes your dog happy, confident and willing to learn. It only takes a short time to realize how you and your pup get very connected to Daniels force free methods. Daniel provided DVDs and other educational materials and taught us how to interact, using his wife Faye and dogs Buddha and Gandhi in a positive way. That was exactly what we wanted. Daniel is the utmost professional. We were extremely pleased with the results and we are sure you will be too." Since your last visit, Cole has continued to show interest in the training exercises (and we bought him a bigger bed with sides). He also is showing increasing calm (without aids) around Allen's presence, as well as our comings and goings. I think your observation about Cole growing up with a lack of mental stimulation is spot-on -- everything was alarming to him. We enjoy watching him develop; he has arrived in his forever home. Thank you for all the educational materials and CDs. At some future visit we can return the CDs to you to have for other beginning clients. I will give you a call when we are in need of further instruction, as I'm sure we will be. We have benefited enormously from your guidance. "Leo is getting along a little better each day. We go to the Jaycee dog park Tues. thru Fri. most mornings before work.....around 7AM or so. He loves it there. We spend about 35 minutes and do a nice 1 3/4 mile loop. All around us are big earth moving machines! He notices them but doesn't freak out. Probably gets within 35 feet and just carries on with his usual sniffing routines. Big progress! Usually comes when called.....there may be a slight hesitation if he needs to sniff out a new dog....then back to me in a minute. He trots on the sidewalk when heading to the shop.Comfort level is increasing.....maybe around 50%..All good progress. He is such a sweet,delightful dog. He also comes out to the shop front area 60 % of the time when the door buzzer rings. He wants to see who is there. He is hoping it might be some of the people he now sees as friends....and still likes getting treats from people who are not friends yet(cautious but usually wants the treat). All in all things are good there. He really did not like going out during the day with Jeff for his afternoon potty. So we tried skipping that .He now is fine staying inside all day with me. Hope all is well with you. As always grateful for your work with Leo.It has made a huge difference for all of us. "Dan, thank you so much for helping Leo find his inner dog! 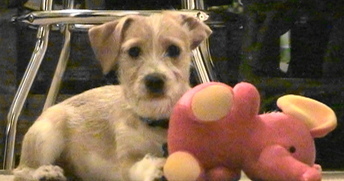 We started out with a very frightened and timid Leo ( a rescue from Houston TX) at 10 1\2 weeks old. We expected that we could train him just as we had with our prior dogs. Very soon it became apparent that Leo needed extra help! Our vet suggested that we bring you into the picture. On your first visit Leo was as frightened of you as he had been of being introduced to new rooms in our home, cars, people in general, loud noises or sudden movement....the list could go on. By the second visit it was clear that the techniques you were using were having an impact on him. We watched gentle and consistent cues which were easy for him (and us) to follow after some repetition. Soon he loved seeing you come through the door! Then more work on all above mentioned issues and in a couple months we have a fairly comfortable Leo! I believe that if we continue on with your techniques he will become an even happier and confident dog. Thank you for all your time, direction and sincere love of dogs in what you do. "Dan with Happy Buddha Dog Training was a godsend! We had our very first family puppy that we had no idea what to do with besides cuddle and snuggle, but our baby boxer Bentley was a little more feisty than we expected. We called Dan and after the first 10 minutes of meeting Bentley, they were best friends. Dan taught us how to train Bentley using positive reinforcement in our own environment. Bentley learned touch, look, sit, down, leave it and to walk nicely on a leash in 6 short sessions! We couldn't be more happy with the training Dan had given us and have referred Happy Buddha to many of our friends and family. "Happy Buddha Dog Training was a Great Experience. Very Professional and the Best part is that he Came to my home, worked with my dog (Diesel). Diesel learned so much and to this day (almost 3 years later) remembers almost all of his training which has been so helpful in so many ways. I could not say enough good things about this trainer. I am very pleased. Also, Happy Buddha was referred to me by my X wife who used them and was pleased as well. anyone I have talked to that has used Happy Buddha has nothing but Great comments about them. I highly recommend Happy Buddha Dog Training. 5 star from this happy family!" 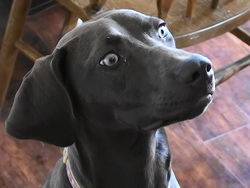 (Originally posted on Facebook/Happy Buddha Dog Training"
"I would trust my precious Luna to my dog trainer at any time. We had the privilege of seeing Dan, our trainer recently. With trust and affection, Luna brushed back and forth against Dan, looking in his eyes, and remembering all the love she has for him. Happy Buddha Dog Training is the best gift you can give your dog, and your family!" "Things are going well around our house. We have since had another baby, a girl born April of this year. We have chosen to gate the living room and dining room off for kids only access unless they are being held closely or in bed. We have allowed interaction between Kenna and Xavier (now 2 years) for a few minutes at a time, monitoring her closely for her stress signals, and giving Xavier clear guidelines on how to approach and touch her. This has been working well, and we have not had another scare. 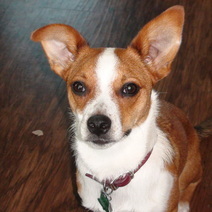 "I rescued my Corgi/Terrier mix, Badger, from a local shelter when he was about four months old. I grew up surrounded by dogs and thought training my very first puppy would be easy. However, I did not consider that many new puppies (rescues especially) could potentially require specified training. Sometimes the basic training commands are not enough to teach a puppy proper social behaviors. I decided to reach out to Dan for help. I needed an experienced trainer who could help me teach my puppy to grow into a well mannered dog. I was referred to Dan through a neighbor in my apartment complex who knew I was struggling to train Badger alone. I was extremely pleased when I learned Dan would drive to my home to work with both Badger and me. Badger is an extremely smart boy, but began to display some social anxiety (specifically with children and other dogs). I realized that though Badger understood his basic commands, he lacked manners when it came to interacting socially. When I tried socializing Badger with other dogs, he did not come when called and sometimes displayed signs of aggressive behavior. Dan taught me how to use patient and compassionate methods of training to ease Badger's anxiety and to teach him how to interact in a positive way with other dogs. Dan and I practiced teaching Badger to "look" each time he noticed another dog or a child. Each time Badger made eye contact with either of us during our training session, he received a reward. This created a positive image of other dogs or children and confidence within Badger which has helped immensely as he and I continue to practice his daily training. I would recommend Dan to any new dog owner! Specifically owners like myself, who are training their first puppy. His force-free methods of training have taught me to be patient and compassionate with Badger. I now feel self assured that the ever-growing bond between Badger and I will only continue to strengthen. 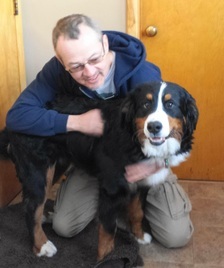 Our Bernese Mountain dog Jackson was 6 months old when we contacted Dan with Happy Buddha Dog Training. A friend of ours had referred us to Happy Buddha. We had taken Jackson to puppy classes but realized that training with several other dogs was distracting to Jackson. We were very pleased and surprised to learn that Dan would come to our home and do one-on-one training with us and our dog. During the next 6 weeks Jackson learned to look, touch, sit, lay down, heel, leave it, back-up, walk without pulling and to wait at the door when guests arrived. But most importantly he learned self-control and good manners. As owners we learned that our smart dog was anxious to learn and show us what he could do. We really appreciate Dan’s training style. He is patient, rewarding, kind and uses methods that are proven to work. Dan really understands dog behavior and psychology. As owners Dan gave us a lot of information on how we could better understand our dog and what drives them to do the right things. We would highly recommend Dan to any dog owner! We inquired about Dan’s services when Jackson was a puppy but we know that Dan works with all dogs at all ages. Dan helped to create a training schedule that reinforced what Jackson learned each week. 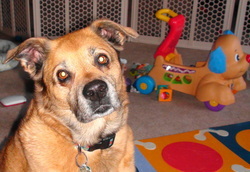 This schedule was very manageable and it helped us to create a stronger bond with our dog. Dogs are a big investment and a big part of our lives. Why not invest in good training and help to ensure your dog has good manners. We just can’t say enough about Dan’s work. He has truly made a difference in Jackon’s life and in ours! Agnes enjoys a shock-free life with her family! "I was just strolling through some Facebook feeds and saw a friend of mine posted her dog at "Sit Means Sit" dog school…I thought it was wearing a special collar and in researching it, it was. So I had to find out what this collar was and how it was used. The website states that it is to “simply nudge the dog to get it’s attention”. It made me smile and want to say a HUGE THANK YOU to you, for teaching me and Agnes to simply say and respond to “Look”. I’m so glad we have such an easy, fearless approach to her behavior, and grateful to you for your knowledge and easy teaching techniques. 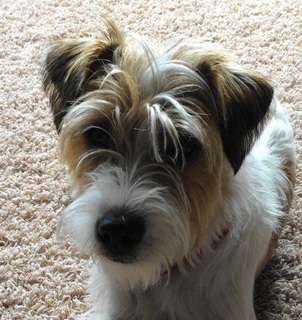 “We are so happy to have found Dan to train our rescue dog, Jack. Jack has severe separation anxiety. He's an angel when we are home. He's such a loving sweet dog. When we leave it's been a different story. In a large outside run, if we were gone, Jack tore siding off of the garage and ripped apart metal fences. Inside, we initially left Jack out....... that lasted one month. The first month was great, then something changed. We needed to crate him. Jack destroyed one crate and tried destroying another. When he escaped, he would move his metal crate, tip over the table, move a large sofa across the room and destroy a couple pub chairs. We thought having our other dog (Pete) with Jack would help, it didn't. We were at our wits end and needed to find someone to help because while we knew we would love him and keep him, we didn't want him so stressed and anxious. It must have been awful for him. From the first session with Dan we noticed a difference in Jack. Jack is also fearful of new people and animals. Dan helped us understand our dogs. We could see how Jack was learning and more importantly, we were too. My husband was pretty skeptical about the whole training thing, but that soon changed. Dan provided a lot of insight and really instilled an understanding of patience and repetition. My husband's comment was "you can really tell that Dan truly loves the dogs and what he does." I've noticed such a huge difference in my husband’s approach with Jack now and I think he truly loves following through with Jack on what we've learned. We continue to work with Jack and he improves every day. We put Dan's advice and tips to use every day and know that it will help us with our dogs forever. 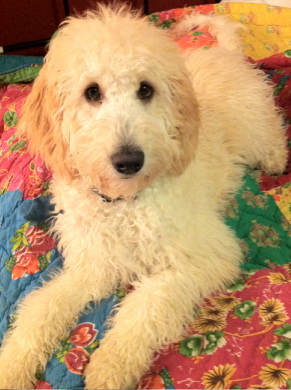 “After attending a group puppy class with our then 6 month old Schnoodle, Winnie, I was discouraged. I felt that Winnie was smart but just had a hard time focusing with so many other dogs present. It was clear she was too distracted to get what she needed out of the class. I knew we needed to continue her training but was hesitant to return to another session of classes. And then we found Dan!! The idea of someone coming into our home to work one on one with us and Winnie was so appealing. I gave him a call and within the first few minutes of our conversation I knew this would be a good fit for Winnie. She has learned so much in our sessions with Dan, responding quicker than we would have thought. 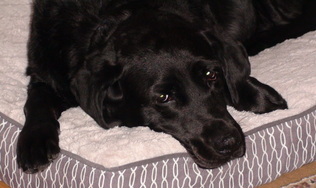 "In the five years since our beloved black lab, Caesar, passed away, our family had talked about getting another dog. I monitored rescue websites, hoping to find the right dog, but something always held us back. Until we found Bailey. 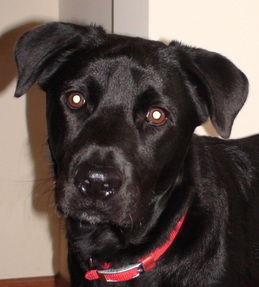 Bailey was a small, 65 lb female black lab. The Humane Society estimated she was around 7 years old (although our vet thinks she might be younger). By the time we met her, she had been bounced around to multiple homes and at least two shelters in a relatively short amount of time so even though she greeted us, she quickly became aloof and detached. But our daughter was instantly smitten so Bailey came home. As Bailey settled into the family, we began working with her but quickly realized we would need some help. Although she already knew some commands, she would get easily distracted and had little to no recall. Living in the country, we knew good recall was essential, both for Bailey’s safety and our sanity. Luckily, some friends recommended Dan Antolec and Happy Buddha Training. On his first visit, Dan immediately worked on establishing a rapport with Bailey. He also spent time finding out what training needs were most important to us so we could focus our activities on those needs. During each visit, Dan modeled training techniques grounded in positive reinforcement and offered suggestions and tips for working with Bailey. He introduced training games so we could play with Bailey and helped identify her highest value treat (Angus beef hot dogs). Dan talked a great deal about dog behavior so we can recognize when Bailey is feeling anxious. Dan also spent time with our daughter, helping her recognize various signs of dog behavior so she could identify when it is safe to approach a dog. They also talked about how a dog could be approached safely and how to react when approached by an excited dog (stand like a tree). Over the course of the six weeks we worked with Dan, we saw Bailey become more confident and trusting of us as well as secure in her new home. We have additional work to do, but know the skills and techniques Dan has shown us will be a great benefit to us going forward. We would wholeheartedly recommend Dan and Happy Buddha Dog Training." We are having a lot of fun with re-learning the tools we need to have a happy fun life with Bindi. I think we got a little lost along the way. She did really well today using our new word "Come" at the dog park. I think between us we actually had a 100% success rate today and there were a lot of dogs there to distract her! She was doing really well with "Sit" and "Down" as well. She's really good with "Touch" at home, but that wasn't as successful out at the park today. It still was amazing to see her respond so quickly with so much distraction. We're both really excited to see how much farther we will go with her as she's (and we) come so far in only 2 sessions. Thank you for all the insight you are providing and all 3 of us look forward to seeing you on Saturday. 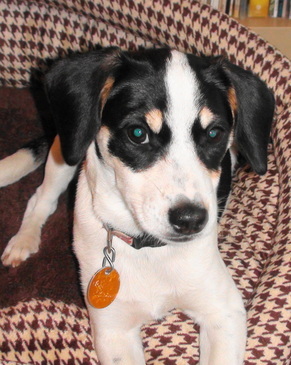 “We recently had to put down our 10 year old Jack Russel. It was heart breaking but after some time passed we decided it was time to get another dog. We adopted another Jack Russel named Stryder. He was about two years old and had not been socialized with people very much. He loves women and children but shows fear around men. He was friendly but didn't really know any commands. I didn't even know if he knew how to sit. We decided it was in our best interest and his to get some training. Dan was amazing. It took a few visits for Stryder to warm up to Dan and with the added distraction of our three year old son it is no wonder. We had a couple of scares with bites to our three year old which made us consider taking Stryder back. Dan was so great with reassuring me that with proper training and guidance Stryder would make a great pet. He was never aggressive toward anyone he was just scared. I think I was really the one that needed the training. I feel so much more comfortable knowing how to read a dogs body language. This was a very great eye opening experience for me and is not only useful for our own pet but great around any dog. Dan was so patient and answered any questions and concerns I had. It has been a few months now and Stryder is doing great. My son is only three but he has learned so much as well. “We had a great time working with Dan. As first time dog owners, we were a little nervous on where to start until we called Happy Buddha Dog Training. Dan’s positive training methods and knowledgeable advice really helped us bond with Han Solo from the start! I highly recommend Happy Buddha Dog Training, and we can’t thank him enough for giving us the best start to our new lives with Han Solo! 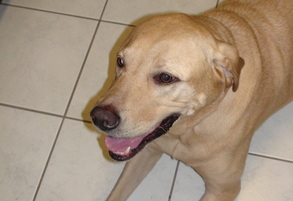 “We contacted Dan originally because our yellow lab, Cooper, showed isolated aggressive behavior and we were not sure how to control it. If left uncontrolled, we thought we would have to find a new home for our dog. This was very heart breaking and we knew something needed to be done. All of the sessions were done privately in our home and Copper was able to act like he normally would. Dan was very patient and knowledgeable while walking us through different exercises in the training. He informed us of the many triggers (people/other dogs, dog walking on a leash, door bell, etc.) that cause excitement and stress. Dan also explained how these triggers could provoke a negative reaction. Through his hands-on approach, he left us with the ability to continue Cooper's learning and success. We have already noticed an extreme improvement in our dog towards these triggers. “It is indeed my pleasure to strongly endorse the dog training methods of Happy Buddha Dog Training. Daniel is very insightful into dog behavior, particularly dogs that are aggressive with other dogs. 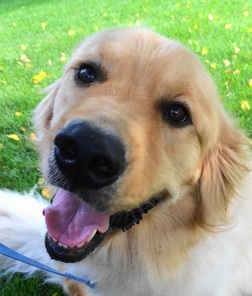 Lucky is a two year old Golden Retriever who became very aggressive when meeting other dogs on walks. I consulted Daniel on the advice of a cousin who utilized his services for their dog. I found him to be most effective in improving this aggressive behavior using alternative strategy that disrupts the dog’s attention (from the other dog) and focuses attention on the handler. Daniel has keen insight into dog behavior and how to enhance it for the positive. He engages the dog in a most positive and instructional manner to help the dog relax and move forward toward accepted behavior. He utilizes an effective deterrent by distracting the dog with healthy treats! It has been most refreshing to see him work with Lucky, who quickly trusted him, and Daniel helped me understand the mannerisms to use. I have been a dog owner for most of my life (I am 80) but have learned so much from Daniel in dealing with a variety of dog behaviors. I am now working independently with Lucky and keeping in touch with Daniel to check on his behavior improvement. 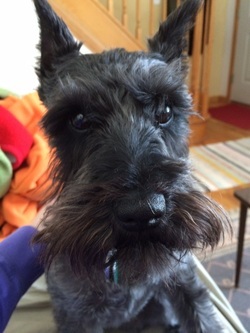 "My daughter had a friend over today, and his mom commented on what a... friendly dog Baxter is. She even got to pet him more than once! Does not sound much like the Baxter we had when we started working with you does it?" “I was inspired by something that happened last night. A group of kids on bikes and razor scooters whizzed past us. No barking! None. Prior to working with Dan, our dog Max would have become very agitated and had a LOT to say about something like that. Walks have become a real pleasure now! "On June 17th 2014 you assisted us with Oregon Safety Camp. I would like to thank you for teaching Animal Safety. It is very important that children understand when it is safe or unsafe to approach a dog. At the ice cream social, I always ask the children what they learned at Safety Camp and many of them talked about dog safety and what they should do or not do. This is so very important and I am very grateful that you are willing to assist us." I don't know if you recall Roscoe or not. 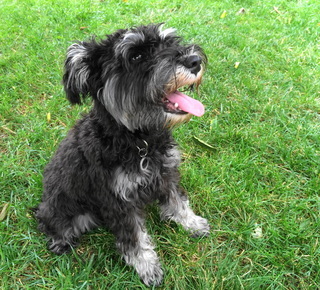 He is a small black and white terrier that you worked with a year or so ago. As a former police officer, I imagine you enjoy the occasional follow up. I would like to share a story: John and I were up north at our other home. Roscoe and Ember were outside with me. Our house is close to a road. On this particular day, there was a family walking on the road with the family dog. He was on a leash. roscoe and ember were not. roscoe and I saw the people walking close to our house, on the road, at the same time. I saw Roscoe tense up as if he was going to react. I called out the command "LOOK". With me, I had treats. Roscoe continues to LOVE his treats. The moment I said Look, Roscoe and Ember turned their attention away from the other dog and family and looked at me for a treat. I provided a reward and then assisted the dogs into the house where they were rewarded again. A near tragedy avoided. I continue to work with Roscoe on the commands. An unexpected result of all this work in training, is that after training and play, he becomes calm and likes to cuddle in my lap. Just as a cat does. Thanks again for the jumpstart to success that you gave Roscoe." “This spring we adopted 2 dogs, Cally the Belgian Shepherd and Stella the Chihuahua. They were both approximately a year old, so some behaviors and habits were already established. I read about Dan online while looking for training classes, and I'm so happy I did! 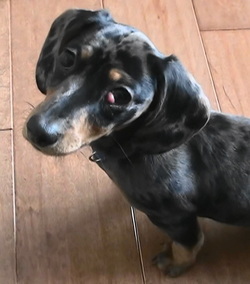 Dan came to the house for the training sessions, and was able to identify issues with both of the dogs during the first visit. He is a very astute observer of dog behaviors, and was able to calm some of my concerns as well as setting us on a path to better dog behaviors! His experience and education were evident throughout our sessions, and both of the dogs have come a long way. My daughter and I have learned so much from Dan about our dogs, and how to train and condition them. I highly recommend Dan and his methods to anyone who is truly interested in positive changes in their dog. Dan is educated and experienced, and is definitely not the typical "dog trainer" that you will find at the local pet store or in training classes. He is patient, calm, and kind, and is always positive in his reinforcement of desired behaviors. His willingness to come to our home for training made the process much simpler, along with allowing him to observe the dogs in their own environment, which I believe is key to improving behaviors that are exhibited at home. With Dan's help, and a commitment to follow training advice, you too will see a positive change in your dog. Thank you again Dan, we are all much happier and well adjusted as a result of your sessions!" "I have to tell you that a friend of ours was over last week & could not believe that Agnes was only 9 months old. She mentioned how quickly she was able to calm down & that she wasn't hyper, but alert to my cues. How awesome is that! Of course we know that we started off with a pretty smart dog, but without your training I know we wouldn't be where we are today with her. Normally I let the dogs outside or in their crates when we sit down for our meals. One day last week (our other dogs were sunbathing outside) Agnes was in the kitchen while I served lunch to the girls. Agnes appeared to be handling herself well, so I let her stay in the kitchen with us. She did go over to the table where the girls were eating, but I said, "Agnes, leave it" & she immediately sat down & put her head down. No begging, no jumping up on the table to help herself; she left it & didn't bother anyone! Again - I know without your help that would have NEVER happened. " “We contacted Dan at Happy Buddha Dog Training after a scary incident involving our then newly-mobile 5 month old and our 10 year old dog, Kenna. Dan first consulted with me over the phone, getting specific details of the incident, and information about Kenna, about our home, our training, and our goals. We wanted very much to be able to keep Kenna and provide a safe environment for the baby, and Dan was willing to coach us on how to achieve this. Little did we know that we were learning to provide a safe environment not only for the baby, but for Kenna as well! His training techniques and advice have proven invaluable. He helped us review basic obedience commands with Kenna, and then began desensitization techniques to our son. The most helpful thing we learned, though, was to read Kenna's stress signals. We continue to practice our obedience training routinely, and have noticed that Kenna is more relaxed and comfortable now that we can read her signs early and intervene appropriately. Even walking her has been an easier task! Dan has encouraged us to keep in touch, and demonstrated his willingness to follow up and consult again if needed. "Dan helped with some control issues with Ciera. 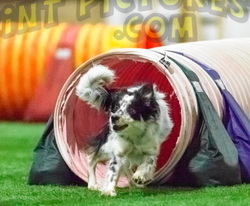 She is a very excitable & intense border collie who I am training to do agility. She needs to have a start line stay so that I can have a lead out on the agility course which is extremely important because of her speed. The work with Dan has definitely helped Ciera to keep her stay on the start line. I am very appreciative of his help and would recommend him as a trainer for any dog with control issues. Pat & Ciera." 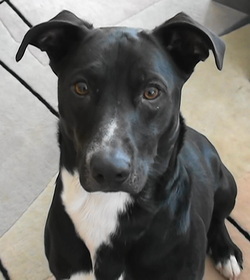 ﻿“Max is a loveable, energetic and challenging rescue dog. He has problems with impulse control - - jumping on visitors, stealing food from the counters, not listening to commands. We still have a ways to go, but thanks to Dan’s patient teaching and demonstrations, Max is making excellent progress. We had tried group training, but Max was so distracted by the other dogs, that it wasn’t effective for us. Dan’s one-on-one training was the answer. Perhaps most effective for us was learning by watching how Dan relates to and works with Max. We have been able to extend Dan’s specific lessons to other situations. Max loves Dan, and Dan’s affection for Max is obvious, which helps Max respond to Dan’s commands. One of the most important lessons we learned was an emphasis on positive reinforcement - - no punishment or harsh language. Now Max is eager for his “training” and loves to respond with sitting, waiting, going to his bed or kennel, backing up on command, and “leaving it.” Any dog can be a success with Dan’s direction. Thanks again for everything, Dan." "When I decided to get another Golden Retriever to become part of our family, I set out looking as I had done before by contacting breeders. I was in search of another young adult female. 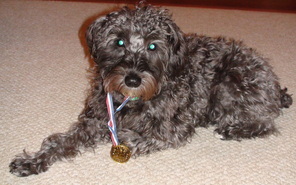 Our present dog, Daisy, was also a re-homed show dog, well-traveled and socialized. I got her when she was two years of age. She has gone on to become my Pet Partner and is a registered pet therapy dog. On this journey I found a 4 year old female who had recently given birth to a litter of puppies. Flair too had been a show dog and had traveled to dog shows to be shown since she herself was a pup. She had been around people and other dogs. I thought this was all good. How could I have known that she was not comfortable riding in a car and would become agitated at the sight of other dogs? This dog had "baggage" and I had a project. To better understand her I enrolled us in a 6 week dog class and that went well. She was not the best riding in my car but she was fine around other dogs. She was calm and liked learning new things. I still did not think we were getting to the base of why Flair was reacting the way she was. I met with an animal behaviorist. Although she was helpful I still did not have a plan. Then I found Dan...He worked with Flair for 6 weeks; I watched. In the time between classes I worked with Flair on what he instructed me to do. After a few weeks we began to see positive changes happening. Dan taught me how to recognize Flair's triggers and how to respond quickly to redirect her reaction. It was working! I enjoyed watching the process unfold. Flair too was having fun. Dan also provided me with resources to contact for additional information. That too was helpful. Early on it became obvious to me that Dan was not only very knowledgeable about animal behavior but dedicated to helping both the owner and the dog change. That being accomplished made for a better life for all involved. I feel Flair is more sure of herself. She is a "work in progress". I work with her in some way each day. She has a wonderful core and is a great dog. The bond and friendship she and Daisy have developed is special. I hope in time Flair too will become a pet therapy dog. She has that quality and will be good at it. Thanks Dan. " Peppie enjoys his graduation prize! "Even before I started working with Dan, I was impressed! I first contacted Dan after a recommendation from our vet, Dr. Michael Boyle of Village Animal Clinic. Even before I was officially his client, Dan he spent a great deal of time answering questions that I had and offering advice. He helped me so much. After I met Dan I was completely blown away. I have grown up with dogs my whole life. I knew I had made mistakes with our past pets and I wanted our new baby to be "perfect". Well our little Peppie is far from perfect, but with Dan's help and patience he will be the perfect pet for our crazy family. Peppie is afraid of a lot of things...strangers...doorbells...random noises. With three young children you can imagine how busy and loud our house can be. With Dan's help I now know how to better read Peppie's body language and cues. I know what to do to help Peppie when he's afraid of something new. Peppie is not the perfect pet (yet) and I know we have a lot of work left to do, but thanks to Dan I know how to help Peppie. I know methods and techniques to overcome the challenges that Peppie faces. Yes Dan taught Peppie some great tricks...look, touch, sit and down. More importantly though Dan trained me how to be a better dog owner. 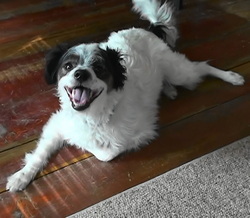 Thanks to Dan, Peppie is a very, very happy puppy." 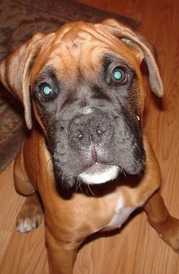 "Ditto is my 5-year-old Boxer. He has always been shy, but in the past year his shyness increased to high anxiety. Anyone coming to the house or people walking dogs on the sidewalk around our neighborhood sent him into a frenzy of barking and running away in fear. After I divorced, the absence of one of us increased his anxiety to these things and even sudden noises. He is sweet and playful otherwise and generally obedient except in new surroundings or around strangers. Watching him meet other dogs, especially large ones, his fear was obvious. I tried to socialize him at a dog daycare and we visited the new Oregon dog park regularly. But daycare didn't work for him and the dog park was always a gamble that all the dogs and owners were friendly. After a terrifying encounter with an angry pit bull at the dog park I feared his anxiety would get even worse. Dr. Mike (Village Animal Clinic) recommended Dan to help desensitize Ditto and reduce his fear of people and over-reactions to other dogs. In six at-home sessions Dan and Ditto became friends. Dan taught me how to read dog body language and how to calm Ditto and focus his attention on me in his stressful situations. We slowly introduced the triggers that sparked his barking, cowering, and anxiety. And it's working! When someone comes to the door or walks on his sidewalk I have what I need to help Ditto make good associations with strangers and other dogs. I have a long way to go to continue desensitizing Ditto, but thanks to Dan, his wife Faye, and his dogs Buddha and Gandhi, my wonderful dog will someday be a happy, calm dog." "I was walking my new puppy when I ran into a couple with their adorable dog, which was very well behaved. I asked how they were able to train their puppy so well. They told me of Dan and the great work he did with their pup. I immediately contacted him and he started training right away. I highly recommend Dan. Dan helps you understand how dogs think. He provides lots of insight on dog behavior; and why they do the things they do. His wonderful insights into the dogs thoughts helps you further your dogs training after he is gone. I just want to say thank you Dan for teaching us the skills it takes to be good puppy parents. Olive will miss you very much and will always appreciate you." 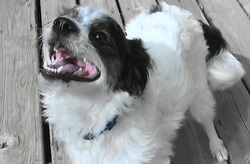 "I adopted my new dog Snuffy from a puppy mill rescue. She is a 16 month old Wheaton terrier. She was very anxious and afraid of everything. With the help of Dan from Happy Buddha Dog Training she is coming out of her shell. When Dan first started coming over she was plastered to the wall and wouldn't move. After six sessions she now sits in our living room with us and doesn't run for cover. With Dan's knowledge and my patience she is turning into a sweet dog. Thanks Dan." After your training guidance Roscoe, Ember, John and I have moved to a group class. I was very concerned about how reactive Roscoe would be in a class. After the first night I have to admit, he was one of the better behaved students there. Each time his little brain would start to wander I used either "look" or "touch" to get his focus back on me. Those darn happy feet continue to move constantly but we're still working on that. I just wanted you to know how successful your techniques have benefited us." "We wanted to thank you for all of your training and advice not only helping to train Floyd to be a well-rounded dog, but train us to as well to be good ‘dog parents’. We rescued Floyd at only 9 weeks old, and with our first visit at the Village Animal Clinic we saw the flyer for the ‘Puppy Preschool’. We knew we wanted to get Floyd into training as a puppy, and Bethany at the clinic assured us that you were the best!! We signed up the next day, and from the first class we noticed that Floyd loved going to his classes. He enjoyed his classmates, and you as a trainer. Through the training during our puppy classes and the information that we took as homework he learned very quickly. At the end of the 6 week classes Floyd knew the basic commands and responded very well. A few weeks went by and we decided to sign up for the intermediate class. We were able to work with Dan to arrange intermediate in home training sessions, and even days at the park. The in home sessions were great to have one on one training with Floyd for a full hour. Working in our home really helped with training Floyd in his own environment. Floyd loves everyone, and when people would come to the door he would greet them but also jump and run out the door. Dan helped us work with Floyd to sit and wait for visitors to enter our home and wait for the command OK! to greet them. He is still very excited to greet people but knows he needs to wait and let them enter the home now. Dan has been a great trainer for us as well, always giving advice on what to do next with Floyd or how to work with him on a particular behavior. Dan also provided a lot of insight on how dogs think and react to certain situations. His instructional DVD was great to learn about dog body language, and what was ‘safe play’ for dogs to participate in. Thank you Dan for everything!! We make sure to recommend you to everyone we can!!" Justin, Jenna & Floyd P.
"Our dog, Boulder, had lost his boldness. At some point during the renovation of our house he became frightened of the kitchen and refused to come into the room. Turning a corner and hugging the edge of the room to go out the back door was a stressful event for him. As with most households, the kitchen is the hub of household activity and he was no longer a participating in it. We turned to Dan for help. During the course of one afternoon Dan, using the using the positive methods he advocates, helped us turn a corner with Boulder and he started to enter the kitchen. We continued to use the methods Dan taught us on our own and now Boulder is at ease in the kitchen, relaxing with the family again. Thanks, Dan." "Well, ivanka and irmani just finished their 'puppy classes' with Happy Buddha', and truly and honestly, I am not sure there are enough kind words out there to say about Dan. I don't think I have ever found such a good hearted trainer ever!! We have had many with having 4 dogs and if ever you or someone you know needs puppy, behavior, etc. please, please, please, consider HAPPY BUDDHA as you will never regret how kind he is to your animals. It is so clear to me, he love all breeds and gives his best to not only please your dog, but you too. Dan, I have learned so much by watching you with my 2 babies and how much they loved seeing you at the front door, I knew I chose the right trainer for my babies. They learned everything so fast and loved being with you and wanted nothing more than to please you and I know they did. When you sat on the floor with ivanaka on your lap, knowing she has to have surgery, you made me cry. You said you had a cold but I think differently as I know how much you loved them both. You are to proud of and we sure are. The little ones will miss you and so will I. God's Blessing's Dan, your are the BEST!" "I just wanted to thank you for all your help, training and great advice with Brandy. We started our journey with Brandy as an 8 week old puppy. Our first visit to the Vet we saw the Puppy preschool flyer. We were not even thinking about training. Dr. Mike convinced us that she was ready. We started class the next week with you and it has been a great experience. We have had our ups and downs with her as we were all learning what the training was about. But your support through the class and e-mail has made this journey enjoyable. With Each hurdle that we encountered you have given us the tools to manage the hurdle and make our time with Brandy enjoyable. I took Brandy on two different trips this spring and summer. I was told by a friend that they are sold on this type of dog training as they could see an 80% improvement in her behavior in just 3 months. I contribute this to you working with us on a positive training program. I love the fact that all the training is positive reinforcement. Our first doggy day care experience was not a good one. After a few visits at the day care I was convinced the Brandy was not going to be able to be a day care dog. I was getting reports that she was not working well with the other dogs and not following commands of the staff. We talked about this situation and you explained how the number of dogs, staff and environment can affect how the dog does in day care. I was so glad that I took your advice and tried another day care. I was so apprehensive after she had been at the new day care for the evaluation, but after the first day I found that in the new situation she did well and we just need to work on fine tuning a few little things. You gave me hope when I was giving up on doggy daycare for Brandy. You asked what our ideal dog would be. You worked with us to correct the behaviors that were not acceptable to us and have given us a dog that we can all enjoy and love. Every member of the family loves to work with her. Your training is easy but you just need the consistency so the dog knows what you want. Brandy is going to be the dog of our dreams." "I adopted Roscoe as an adult. I have always adopted puppies so this was a new experience for me. I immediately noticed some concerns, most notably was his lack of socialization. 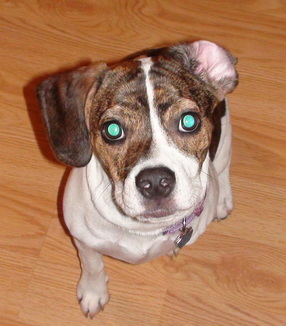 This created a very reactive dog with an already high energy breed (terrier mix). In looking for a dog trainer to assist me, I was interested in someone that would work around my busy schedule. Dan was willing to work with Roscoe and myself, once a week, in my home at 3:00 p.m.
Dan reinforced the value of patience while working with Roscoe. Dan assisted me in identifying triggers which result in Roscoe's undesirable behaviors. I have learned some skills to address the behaviors which in turn makes for a better dog and human relationship. Dan was consistently professional and courteous. He was on time for each lesson and explained what he was doing in an easy-to-understand manner. While I did not agree with each philosophy Dan presented, I made a point to apply the basic principle while I worked with Roscoe for the lesson plan. I noted significant progress with Roscoe. I continue to practice the things I learned. Overall, I believe I have a better behaved dog. Thank You Dan!" 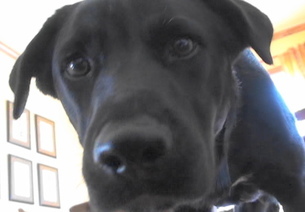 I really want to thank you for your work with my five month old lab Luke. You showed great patience with him and your knowledge of dog behavior was impressive. You made great strides with Luke in just 6 short weeks. I would highly recommend you to anyone who wants to see a changed behavior in their dog. Thanks again." I wanted to just say that it’s been a pleasure working with you. To be honest I never really thought much about dog training as I was raised on a farm and the dogs were just taught the old fashion way and is how I continued to raise our dog (Diesel) until I saw what your training is capable of doing and how it benefits the safety of the dog and others. I absolutely cannot believe how much Diesel has learned and how this has helped with not only our daily activities but how it’s been such a bonding experience for the whole family. Both my two sons and myself really enjoy working on the training every day with great results. We can always refer to the training video you gave us as we need to. This is helpful. We will always recommend you to anyone that is looking for some training with their dog. It’s truly been a pleasure. Oh…and thanks for the pictures!" You can teach an old dog new tricks! Happy Buddha Dog Training was recommended to us from a friend and we are so pleased! 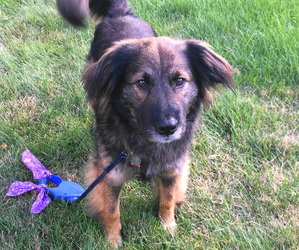 Brady is an active 4 year old dog who had a few negative behaviors we were targeting to correct including going in the kitchen, running through the house, jumping on people at the door, and pulling while on a leash. After 6 weeks of in-home training we are seeing fewer occasions of the negative behaviors and we are all happier! Not only did Dan train our dog, he taught us why Brady was behaving a certain way and how to train him to continue the positive behavior. The entire family, including our 12 year old, is able to teach, train, and reinforce the behaviors we want. This has given us the opportunity to bond with Brady more and focus on the positive behaviors we love!" "After a chance encounter at a dog park with a woman's very well-behaved dog, I asked her where she'd done her dog training. She told me about Dan and Happy Buddha dog training and I made the call that day. 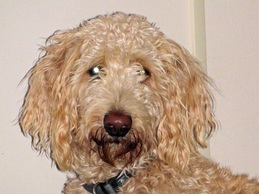 Our Golden-doodle Piper is about 1 1/2 and already had been through basic obedience, could sit, stay, come - most of the time. But I had a terrible time with her on leash, where she tugged so hard I didn't trust the kids to walk her. She also LOVES people and wants to express this jumping at them, paws dirty or clean, regardless of whether the person was a dog lover/dog phobic. The ringing of the front door sent her into maniac level excitement. Clearly, we needed help. Dan's ability with dogs was clear from the start. He's AMAZINGLY patient, works on positive reinforcement and muscle memory rather than coercive methods. By week four Piper was walking very nicely on a leash, rarely jumping at people, and waiting inside the door when the doorbell rang. The biggest takeaway I got was how much patience I needed and how many repetitions it takes for a dog to "get it". I have no doubt I'm a better dog owner for the experience. Having one-on-one instruction is a hundred times more effective than a group setting for us, for these particular issues, because we were able to work with her without her barking wildly at ten other dogs in class. Without a doubt, the best money we've spent on our dog!" "What is better than saving an Australian Shepherd, saving an Australian Shepherd from itself? With many of our Aussies, they come with a missing part, or broken heart. We know they suffer, be it the trauma of being taken to a shelter, which any Aussie Rescue person knows is the most traumatizing event in an Aussies life. They crave, no they need human contact, or they begin to withdraw and become poor adoption candidates. Or they come to use, sometimes no fault of their own with emotional issues that even from the best intentioned Aussie owners, they did not receive proper structure in those important and formative years. Ranger is one such Aussie that we feel used bad behavior to get the outcomes he was after, eventually he worked himself into a frenzy, and knows no other way to deal with stress or change. Enter Happy Buddha Dog Training, Dan Antolec, the owner and trainer at Happy Buddha Dog Training in Oregon Wisconsin. Dan met Ranger and immediately Ranger’s foster mom noticed a change in how Ranger viewed the world. We are hoping with Dan’s help, Ranger will become that perfect Aussie that will someday find that perfect forever home. So if you are in need of a trainer, one that truly cares about his craft, the craft of saving and helping dogs that are often misunderstood, and lack the proper guidance to grow and relearn the world, please consider Dan Antolec with Happy Buddha Dog Training. We are and we are proud to recommend his methods to you and your dog." "A year ago we took our dog Baxter to our family cottage and it was extremely stressful for him, and as a result, for us too. Baxter has anxiety issues around people he is not familiar with and he was terrified of my father-in-law in particular. Having people over to our house was traumatizing for him, and led to much barking and fearful behavior. We decided to have Dan come and work with Baxter. The first time Dan came to our house he impressed us with his awareness of doggie language. He didn't come farther than the entryway and his body language was all about trying to put Baxter at ease. A flick of Dan's hand when tossing a treat Baxter's way was enough to make him jump and send him scurrying away. Over the next several weeks Dan worked with Baxter to help increase his confidence. Almost as important as what Dan was teaching Baxter was what he was teaching us about how to read him, the causes of his anxiety, and what we could do to help alleviate it. By the last appointment with Dan, the dog who ran away from a hand movement was turning his back to Dan, presenting his tail end for scratching, and even giving Dan the occasional lick. We saw tons of improvement in his interactions with other people too, especially as we taught people how to interact with him based on what Dan taught us. The real test was this weekend though, when we were back up to the cottage with my in laws. It was like we had a totally different dog. He still wasn't entirely comfortable at first but the fear and agitation we saw the year previous was not there. He would take treats from everyone, including my father-in-law, and even allowed everyone to pet him too. In addition, his training was quite obvious in how well he responded to commands like "come" and "leave it", even with such enticements as squirrels to chase and dead fish to roll in. We have recommended Dan and sung his praises since he worked with Baxter. After this weekend, it only reinforced for us that hiring him was the best decision we could have made. Vicki, Ryan, and Baxter S.
"Shortly after bringing our new puppy home it was clear that we could use some guidance in working with this bright, energetic little dog. T.J. is our Portuguese Water Dog. I talked with our vet and he and his staff quickly recommended Dan. Boy, are we grateful! When I first called Dan, he was easy to talk with and he sent me great info to review even before our first in-home lesson. Dan is very patient, never tiring of my questions and interruptions. He was also very willing to include my 9 yr. old and 12 yr. old. This has been great in our work at home with T.J. Dan’s private lessons are wonderful! He never rushes a puppy at any step along the way, always making each session full of learning and fun. Dan has a true gift of communication both with animals and people. His wealth of knowledge and willingness to share is awesome! T.J. is learning quickly and wags whenever he hears Dan’s voice. We are looking forward to continuing in our work with Dan as our relationship with T.J. continues to grow. I believe that anyone who has the opportunity to work with Dan will see the awesome value as their relationship with their pet blossoms. Many Thanks and Grateful Wags!" "You did a wonderful job teaching the children about animal safety. They learned a lot of great information and the children liked meeting Gandhi. We heard many great comments about you from the children and their parents." "I truly believe your training has made me a better owner and helped us through the early puppy stage. He is such a smart guy, I was always amazed at how quickly you got him to do new things. Max always enjoyed sessions, actually I think it was the highlight of his week! You showed us how fun training can be. Having the individual attention was priceless and has given us such a good foundation for doing a group class to perfect the skills learned. It was so convenient to have you come to our home and work on things in an environment that Max was comfortable in. And having the DVD to reference has been great! The whole experience was great - I would recommend it to everyone with a new puppy! You obviously enjoy what you do and do a phenomenal job at it!! flexibility really helped me out! 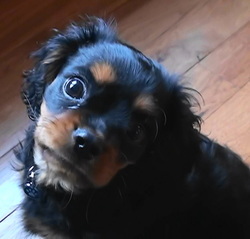 As you know, Charlie is very smart, but a true puppy in every mischievous way. I believe the commands that he has learned have taught him how to behave. It was so hard when we brought him home; he did not like sleeping in a crate and kept us up to let us know. Now he goes to his crate to let us know he is ready for bed and doesn’t make a sound! We are so sad that the training has come to an end, but with everything you have taught us and the DVD for reference I am confident Charlie will remain a great puppy! Thank you so much for everything!" 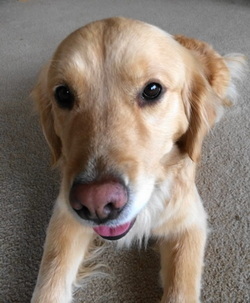 "Jake is a fully fledged member of the family and is adored and loved by us all. He brings such joy and is everything we could have hoped for in a dog. We are socializing him with people and other dogs-he loves the dog park and doggy daycare is a treat! He is so loving and listens well and we are seeing him make huge strides in all areas. He is fully potty trained. Only licks the kids-never even play bites, he is pulling less on the leash and will sit at every cross-walk on his daily walks. He has full access to all areas of the house including the kids rooms and will walk among their toys without picking them up or chewing them. He is currently lying sunbathing at the patio door on his back, legs in the air! He is such a character and very loved! Thank you so much for all that you did in making his adoption such a blessing for him and for our family. Jake is helping to rewrite people's perceptions of the pit bull:) He is a great ambassador." instrumental in making the transition a good one. You were awesome with my kids, and left them with valuable information about appropriate behavior when they approach or interact with any dog. We are so happy that we decided to rescue....and are so grateful for your patience, kindness and knowledge. Enzo now gets to play with your dogs once per week, at Old Stone Pet Lodge--and he loves it! Your advice was spot on!" "We just wanted to let you know how pleased we were with the 6-week training session you provided for us and our puppy, Finley. Your professionalism and knowledge of dogs was evident in all our interactions. You made learning so fun for Finley…..and us! We are still amazed at all that he’s learned. The in-home sessions were so convenient and allowed us to teach Finley in his own environment, which was helpful. We hope to work with you more as Finley grows into adulthood. Thanks for everything!" “Dan Antolec, Happy Buddha Dog Training LLC, was recommended to me by my veterinarian about one week after I'd adopted my rescue dog, Ian, in January, 2013. Dan contacted me the same day that I'd called regarding information on his training theories and the rest is history. Dan's approach of gentle positive reinforcement made in Ian's personality and willingness to learn new things. Dan's onsite teaching methods and personal assistance in improving my own training abilities, along with the DVDs and helpful literature he provided as part of his class, have made Ian a much more loving and enjoyable family member for not only me, but for guests in my home as well. 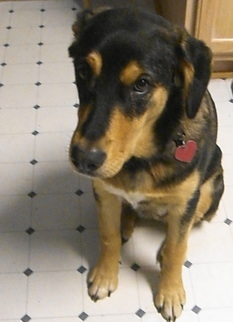 “I just completed my second obedience training with Dan and am so sad it is over. I have had dogs my whole life and have never experienced such an attentive, loving soul as Dan. It’s been fun to watch his operant conditioning methods work with my puppy Luna. I could watch her think the process through and see her be as thrilled as I was when she was successful. The education was for me as much as for Luna, and I have really come a long way in my relationship with her. She is attentive and eager to behave, and I now have the confidence to continue working with her. Thor writes a letter to Santa...with a little help. “We began dog training with our Polish Lowland Sheep dog Thor because of Thor’s intelligence, and not in a good way. We picked Thor up from the breeder this summer when he was 9 weeks old, and we became very closely bonded to Thor and he to us during a 3,000 mile trip out west where Thor went with us literally everywhere at the age of roughly 3-4 months. But during and after this trip we began to wonder if his name was Thor or No-Thor? He learned very quickly to ring the bell to go outside for the bathroom at only 10 weeks. But he would steal items from around the house and play games for our attention. He would generally stay with us in the yard, but again he play games that were not structured by us (hide and seek under the deck etc). Dan explained that much of this is just how he plays, and to stop some unwanted behaviors we needed to positively reinforce good behaviors while redirecting Thor from the unwanted behavior. We also needed to provide socialization opportunities for Thor to continue to grow. We read some of the research Dan suggests you read that says there is no evidence that dogs love their humans but we are sure they do. And Dan provides a class where we learned how to use his love for us to redirect Thor and train him in a positive fun way. We think Dan was teaching us how to speak dog. “We took our puppy Reba to Dan’s Happy Buddha Dog Training class to learn how to train and socialize our puppy. At our first session during play time Reba and another dog were “playing” very roughly and teeth were out, etc. I rushed in to break them up and Dan calmly stepped next to me and asked “Exactly what behaviors are you seeing that are bothering you.” I replied “That”pointing at the exposed teeth, growling, and flying hair. Dan replied “That is play.” “See the curved bodies, lack of eye contact…”and about 20 more things to look for. (I later saw these all on his training DVD.) I have owned dogs since I was 10 years old and I was totally blown away by his knowledge. understood clearly what the components were. Dan's manner is calm and reassuring and his love of dogs was evident in every minute of every session. I particularly liked the fact that the methods were positive and humane. answer all of our questions, and is available for phone consultations at no extra cost. We would highly recommend Dan and his positive training techniques for any dog and their owner." "My name is Peter M. and I raise Boxers in the Oregon Area. The handsome girl (below) is Skye, the newest addition to our family. She joins Chia, her mom and Misty, her sister along with her uncle Mooch, an English Bulldog. I began puppy classes with Dan this fall and what a difference. The place that I used to go to had very large classes, as many as 10 or 12 dogs per class. Dan’s classes are much smaller and you get a great deal of individualized attention. He had Skye doing things during the first class that took a month or more with my other dogs. He has a very well rounded philosophy of teaching. While he probably won’t admit it, he makes as much effort at teaching the owner as he does the dog. One of my friends has him for private lessons and was astounded by how fast his two year old Boxer could learn. 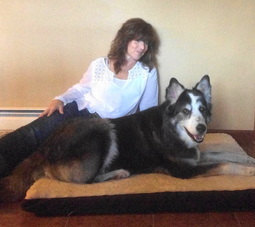 It is truly a rewarding experience for both the puppy and the owner." “Working with Dan from Happy Buddha Dog Training was a great experience for our puppy Buddy and my family. 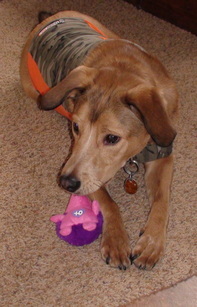 Dan’s approach to training, which focuses on positive reinforcement and redirection, has worked wonderfully with Buddy. The training sessions are informative and focus on developing core obedience skills that transfer to all situations and locations. Easily the best decision we've made since bringing Bubby into our home." Lydia enjoys her graduation prize. “After much frustration and confusion trying to train our Australian Terrier puppy Lydia, we were referred to Dan and are so happy that we found him! He took command of the situation within 10 minutes of her first session. She was enamored with him from the start with his gentle, confident demeanor. Each session brought new insights as to how to teach Lydia basic skills that were incredibly helpful for (all) our survival! Potty and kennel training, basic commands, and learning how to work with our puppy in fun ways literally saved our relationship with her. Shortly after we got Lydia (who was 9 weeks old at the time) I broke my arm and wrist and was pretty disabled for several months, so being able to manage a puppy was critical to our keeping her. I was adopted December 2nd, 2012! “My husband and I were fostering a dog named Ranger. After 8 weeks with us Ranger had made very little progress and had started to regress. The rescue organization deemed him beyond rehabilitation and hence he was sentenced to death. We were not willing to accept that fate for him. In our search for alternatives we found Happy Buddha Dog Training. Trainer Dan met with Ranger for an evaluation and saw the glimmer of hope in him that we did. After just the first visit with Dan we began to see Ranger’s transformation begin. "I adopted Nigel when he was 1 year old from Italian Greyhound Rescue. He obviously had little training. A young high energy dog w/o training can be a nightmare. He was very impulsive, lacked any doggie manners and was difficult to walk as he gets crazy when we meet people or dogs while he is on leash. Lucky for him he's very cute as has a sweet cuddly side to his personality. I heard about Dan and Happy Buddha Dog Training through the doggie daycare and signed him up for obedience training. We just finished our final session and he has really made a lot of progress. He is much more focused and listens so much better. Dan teaches both the dog and the person. I have learned skills that I can continue to use in the future to help Nigel become a better dog. He's not the perfect dog yet but we have the knowledge and skills now to keep improving Nigel’s behavior. I would definitely recommend Dan to anyone looking for a dog trainer." 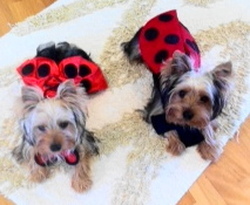 "Our experience with Happy Buddha Dog Training has been wonderful. Dan has a gentle, yet very respectful method of training which helps dogs progress quickly. Our most recent foster dog, Frosty, a Siberian Husky, came to us after being housed in an outdoor kennel for seven years. He was shy and didn't understand the role of humans in his life. It was uplifting to watch Frosty develop confidence, learn some manners, and understand that humans can provide him with the care and structure he needed. After just three weeks Frosty was well on his way in his progress of becoming a happy, well-adjusted, confident dog. 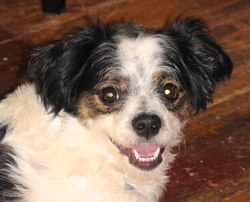 Dan's work with Frosty allowed him to find a normal home where he shares his life with humans and another dog. I enjoy working with Dan and look forward to bringing future foster dogs to Happy Buddha Dog Training. Thank you!" “My daughter and I recently completed a puppy training class with Dan. We initially signed up because this was my daughter's first dog and I wanted her to have the experience of training him, etc. I thought that I knew alot because I had owned dogs previously. We were both pleasantly surprised. Dan presented interesting information in an easy to understand format. His demonstrations and feedback was very helpful to us. "Your passion for dogs is evident in the way you teach your class. It is so special to have met someone who has such love and respect for his pets. Dogs truly do become special family members who bring lots of joy to a home. We love Buddy. It has been so fun to watch him learn and grow. You have given us a gift by sharing all of your knowledge of dog behavior and training techniques. It has given us such good insight on how to interact in a positive manner with Buddy. Puppy behavior can be so difficult to deal with sometimes, but Pete and I feel more confident in our ability to deal with difficult behavior. We can see that learning to deal with this in a positive manner can only help us to have a better behaved pet. Buddy seems to enjoy learning how to please us. Thank you so much." "I have known Dan Antolec since 2010 when we met at the Hound Huddle as training instructors. I have been training agility, obedience and rally classes at the Hound Huddle since that time. Dan has been teaching puppy classes at the Hound Huddle and I have had the pleasure of working with several of his “graduates” in my more advanced classes. Dan and I have worked together often, creating training plans, talking about different methods and how best to convey those methods to our students. Dan has always been very interested in furthering his knowledge of dog behavior and learning and I have been happy to help him learn. 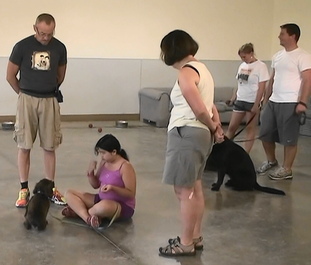 I have watched several of Dan’s puppy classes and they are always well planned and conducted. Dan gives ample attention to each of his students and adapts as needed to each individual dog/handler team. He has excellent observational skills, and is very good at pointing out little details in body language that often affect training that most never notice. Dan has produced a training guide as well as a DVD for his students and is very passionate about teaching people how to communicate with their dogs. I highly recommend Dan as a dog trainer. Please feel free to contact me at any time if you have further questions." 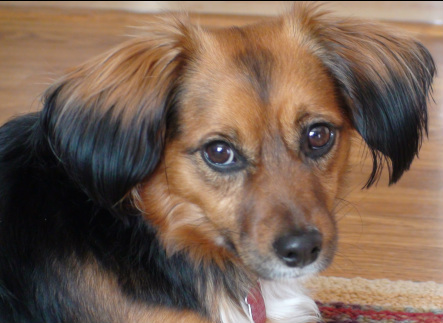 “We were searching for a dog trainer who would listen and understand our dog’s behavior. We found the perfect trainer in Dan Antolec. Dan listens with his heart: he is understanding, compassionate, and firm but gentle with our dog. He is not a “cookie cutter” trainer giving general and broad sweeping resolutions, but tailor makes his class to the needs of the dogs. He observes the owners and offers tips to improve communication with our dog. “My husband and I highly recommend Dan to anyone considering hiring a trainer for their dog. Our miniature dachshund puppy had a tough start at life. 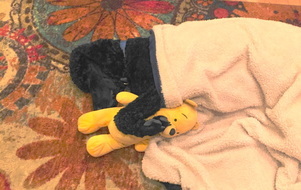 He was very sick, constantly on several medications, and we had to be careful not to expose him to anything that his weak immune system wouldn’t be able to fight off. Unfortunately he didn’t get the socialization he needed in those critical first few months of life. As soon as he was healthy, we signed him up for Puppy Pre-School, taught by Dan. We loved the puppy classes! Our puppy learned a lot and so did we! After class ended and time went on we started becoming concerned about our puppy’s socialization skills. Each time we would introduce him to someone new it was very stressful; he would avoid the new person, bark constantly, and even nip. We tried dealing with it on our own, but things kept getting worse. Finally, at our puppy’s annual check-up we asked the vet what we should do. The vet recommended we contact Dan for some one-on-one training. Dan responded to us right away and we were able to set up a time for him to come to our house and work with our puppy. I’m not exaggerating when I say that things started improving instantly once we began training with Dan. We wished we had known about his one-on-one training sooner! The first time Dan came to the door, our puppy was scared and barked a lot, but he warmed up to Dan faster than we expected. The second visit he barked a couple times, but soon remembered that there’s nothing to be afraid of – especially since Dan brings hot dog treats! By the third session, our puppy barely made a sound when Dan came to the door, and he was actually excited to have a visitor. We couldn’t believe it! Not only did Dan help our puppy gain an incredible amount of confidence, he taught my husband and me a lot too. All along we were trying to do what was right for our puppy, but some of the things we were doing were actually holding him back. Dan taught us several new ways to work with our puppy and we were honestly amazed by the progress we made after each session. We can’t say enough good things about Dan. He’s done more than we could have hoped for. In addition to taking the time to come to our house, he’s always willing to answer questions or send us extra training materials. “This is a highly recommended referral to anyone contemplating choosing Dan Antolec to train their dogs. 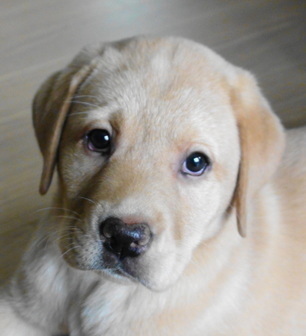 We contacted Dan for obedience training for our 9 week old Lab in May of 2012. Dan came to our house and explained what the course would entail and also tailored the instruction to specific training we wanted our dog to have, in addition to the basic obedience training. Dan provided us with both video and written demonstrations of different types of dog behaviors and training techniques to review between training sessions, which really helped in our everyday training with our puppy. Dan was very thorough and passionate about the training and expressed the desire to see owners have a well behaved dog and develop a bond of friendship. Dan uses reward-based training techniques and discourages any type of physical punishment. Dan is very patient to work with and is very knowledgeable. Happy Buddha Dog Training wants to help you with your pet!